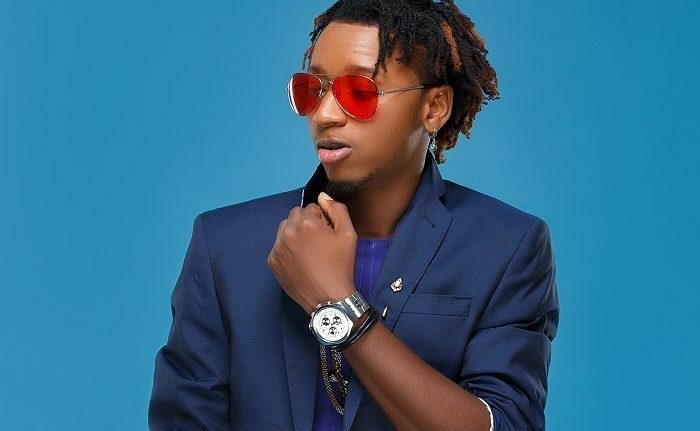 Singer, Young6ix, has joined the lot of those reacting to Davido’s birthday gift to his girlfriend, Chioma, which he describes as a record set by OBO. Recall that social media, on Tuesday, the 1st of May,woke up to the news of Davido’s Porsche gift to his woman. In addition to this gift, the singer also announced that he landed his chef girlfriend an endorsement deal worth 60Million Naira. He however revealed that he rejected the deal to negotiate a better deal of 10oMillion Naira. 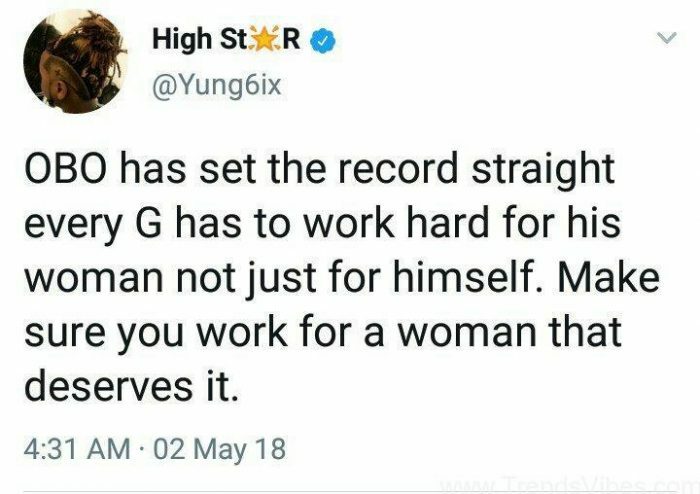 Young6ix, on twitter appraised the singer’s actions, advising that men should work hard, not just for themselves but for their women. Recall that the singer, recently cried out after being heartbroken by his woman.